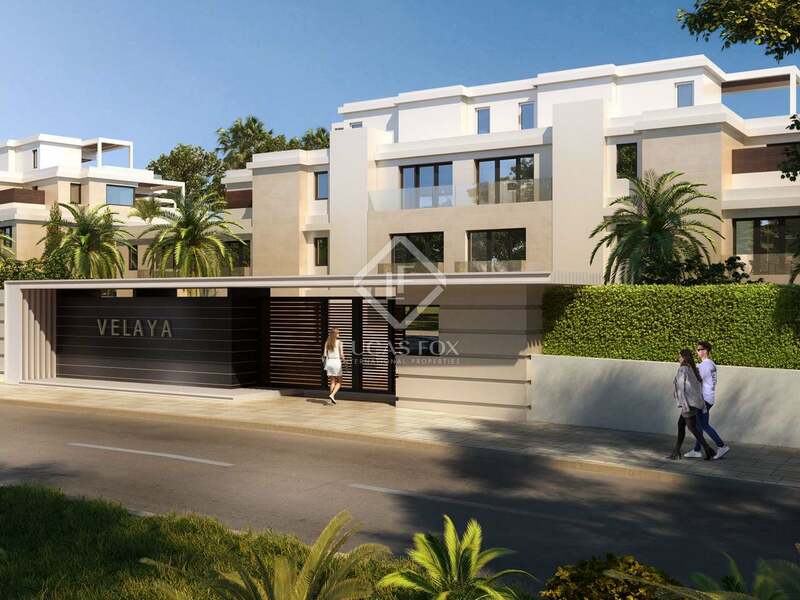 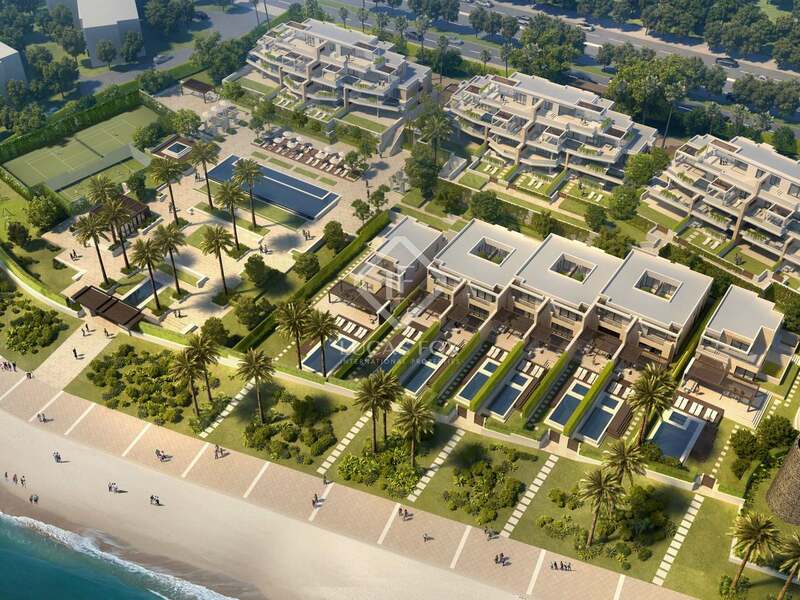 Beautiful apartments, penthouses, villas and bungalows for sale in a brand new beachfront development in New Golden Mile. 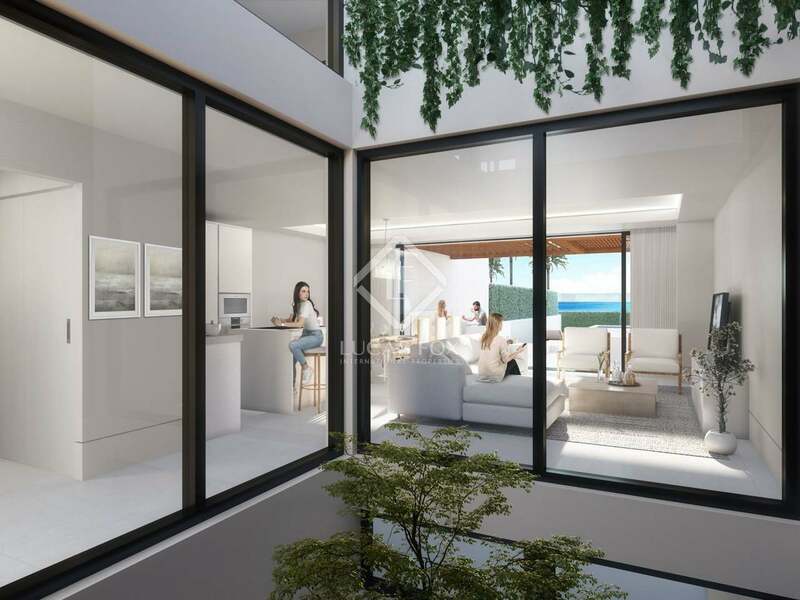 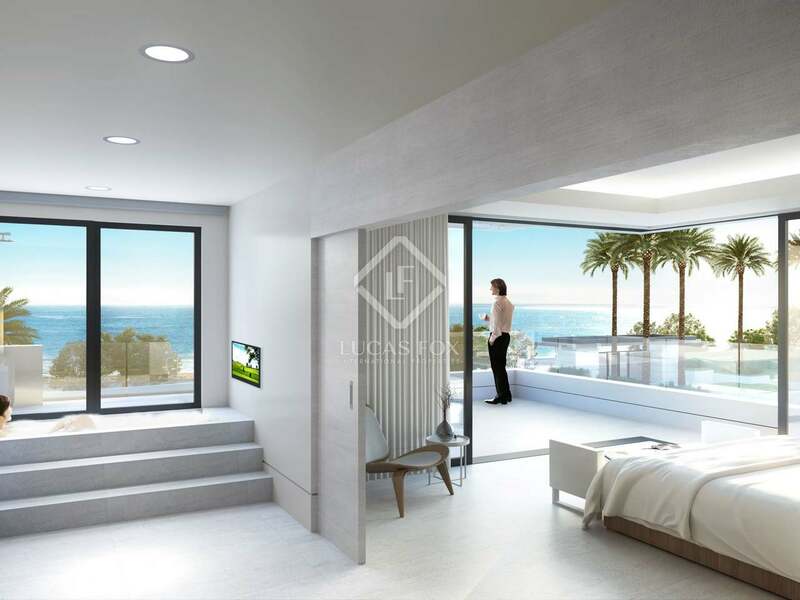 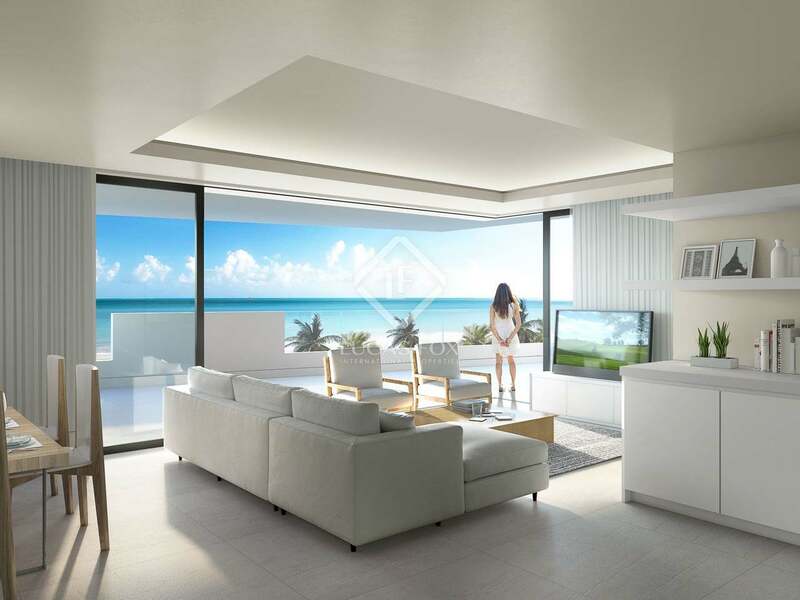 In a beachfront location and with direct access to the seafront promenade and beach, this new development offers an exclusive range of properties on the New Golden Mile. 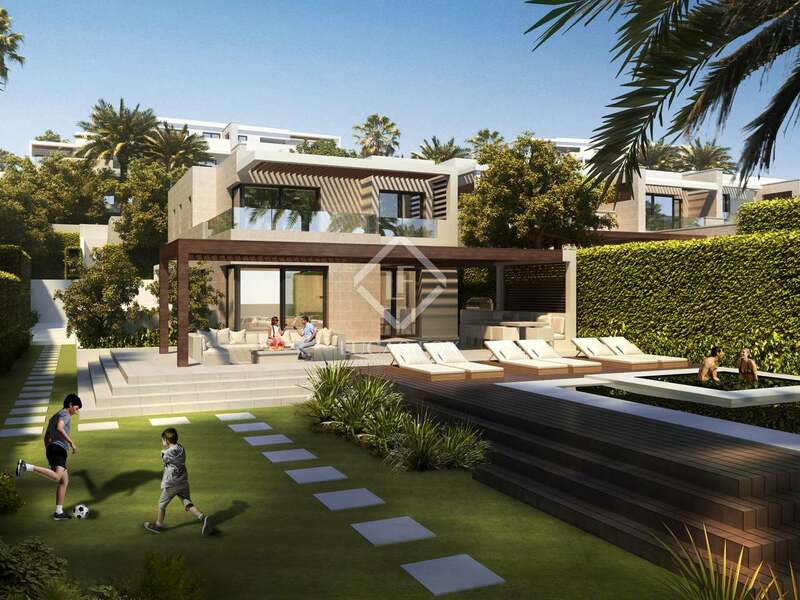 Twenty-four 2 and 3-bedroom apartments 6 penthouses, 6 bungalows and 2 villas are available. 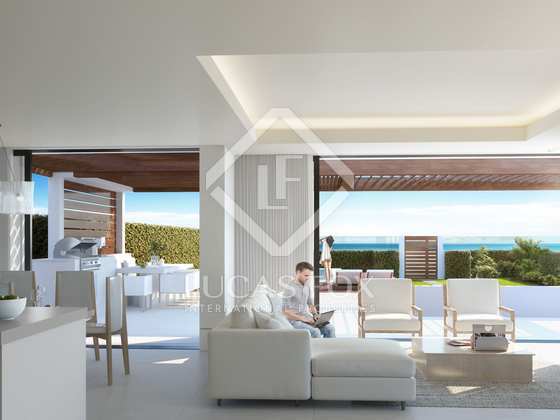 The stunning properties have been designed to create a perfect balance between colour, space and modern design. Each property is completed to the highest of standards and has underground parking and 24-hour security. 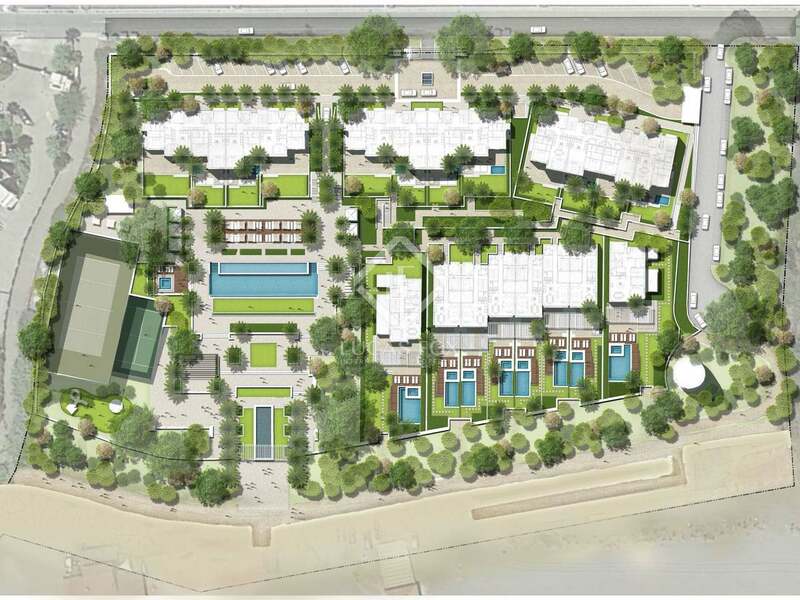 The beautiful communal areas offer a whole host of activities from a heated pool and children's pool to tennis and paddle tennis courts. 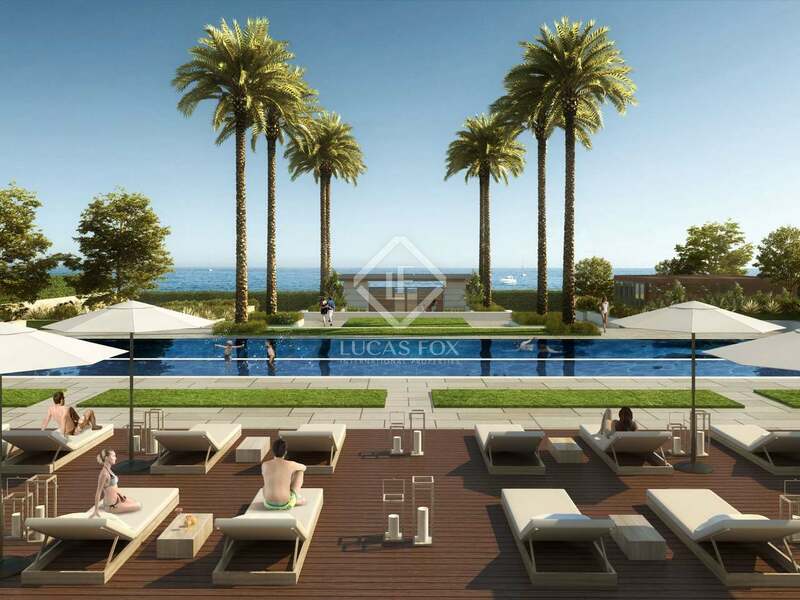 There is also a gym and landscaped gardens with water features and lovely views to enjoy. 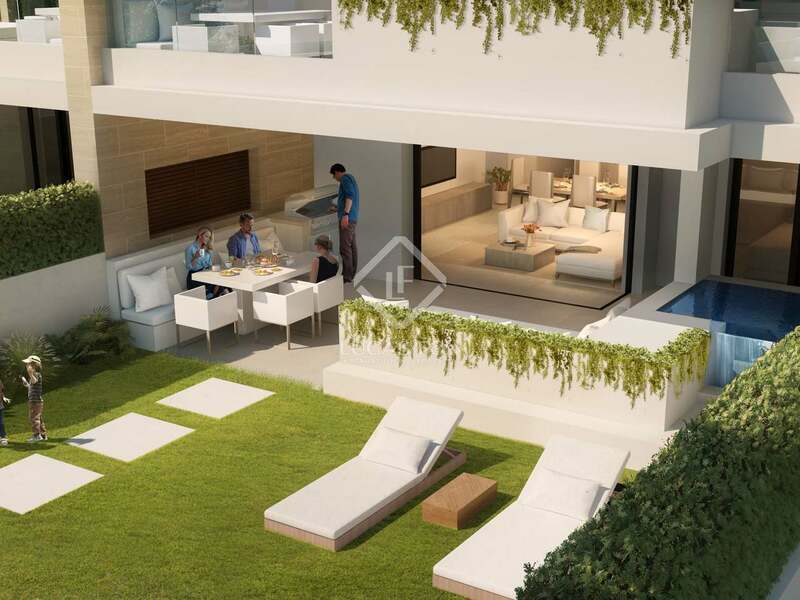 The project aims to obtain the BREEAM International certificate for sustainability. 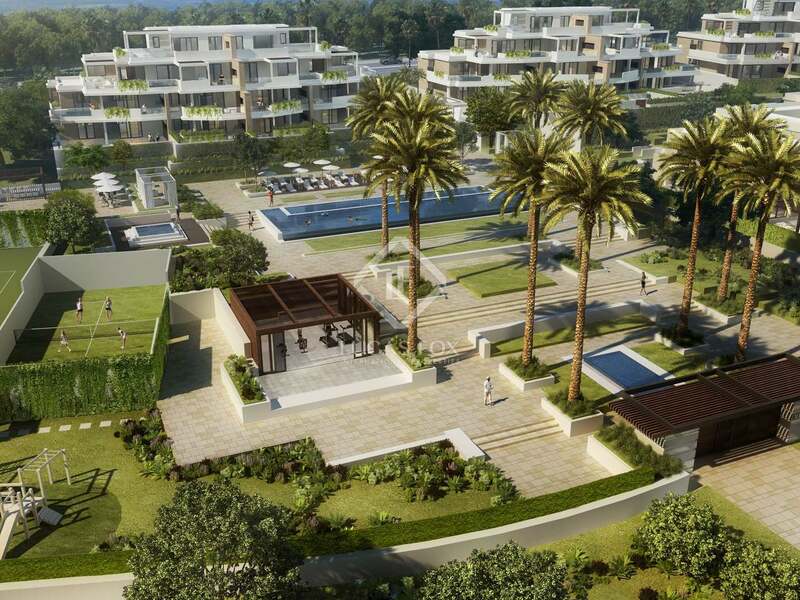 Exclusive beachfront residential development on the New Golden Mile. 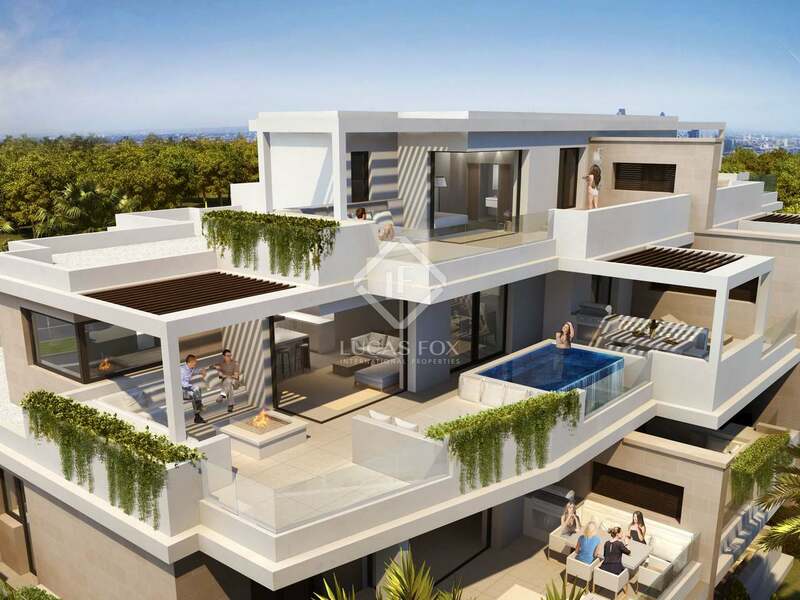 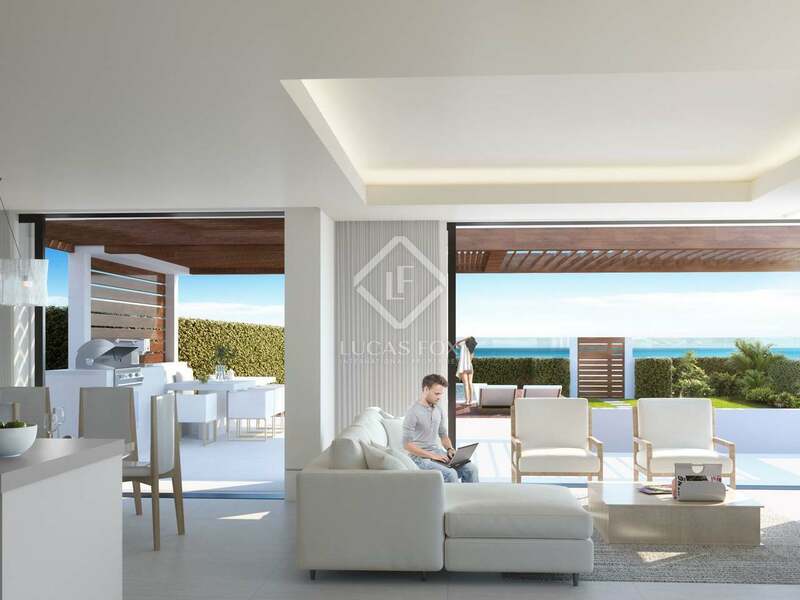 A 10-12-minute drive from the famous Puerto Banús, this is a prime location on the Mediterranean coast.